Latvian hybrid airline airBaltic continued its profitable flight-path with a strong financial performance last year. 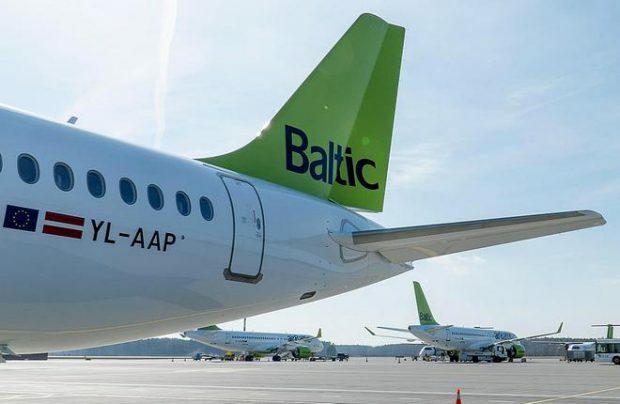 According to the carrier’s 2018 financial results, for the first time in the company’s history, airBaltic achieved €400 million sales revenue, whilst its net income grew by more than 40 per cent over 2017, reaching €5.4 million. On March 30 the airline took delivery of its 16th Airbus A220-300 jet, registered as YL-AAP. It is the second Airbus A220-300 to be welcomed this year. Both are on a 12-year lease agreement through lessor Avation and six more new aircraft of the type are set to join the airline’s fleet by the end of this year. For the 2019 summer period, airBaltic is launching new destinations from Riga to Dublin, Stuttgart and Lviv and, from May, is adding new flights to the popular holiday destinations of Kos and Menorca. The Riga-based airline connects the Baltic region with a network of more than 70 destinations in Europe, the Middle East and in the CIS region. Its fleet consists of 36 aircraft made up of 16 Airbus A220-300s, eight Boeing 737s and 12 Bombardier Q400Next Gen turboprops.